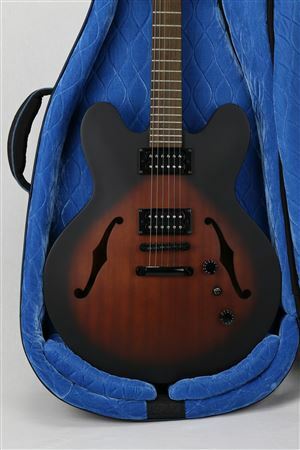 Shop Reunion Blues RBCSH Continental Voyager Semi Hollow Guitar Gig Bag from AMS with 0% Interest Payment Plans and Free Shipping. 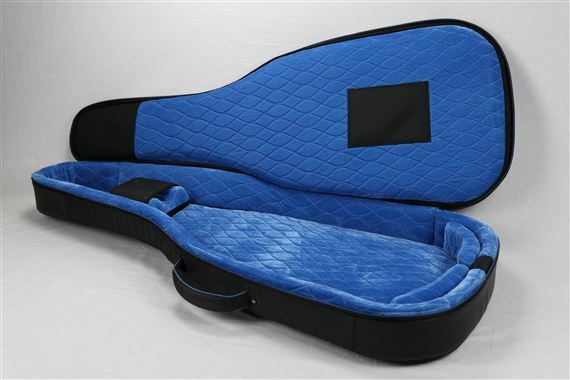 The RB Continental Voyager case will protect your guitar in years to come because Reunion BLues has consistently maintained a high standards for quality craftsmanship that we established back in the 1970s. Reunion Blues uses industrial-grade high-tensile thread, reversed water-resistant zippers, abrasion and scuff resistant corded edges and seams, EVA backed material, and internally reinforced structure in those high stress areas. 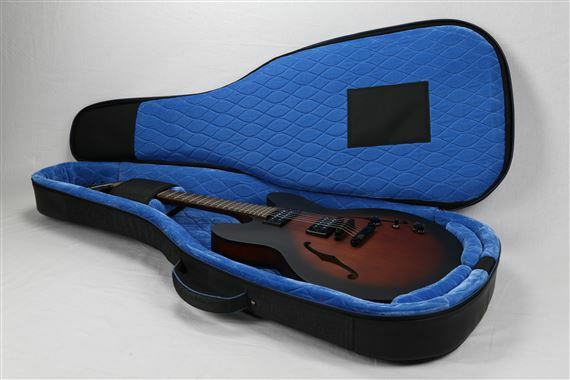 Best of all, Reunion BLues backs this up with the peace of mind that comes from an industry leading limited lifetime warranty. Often imitated, but never equaled! 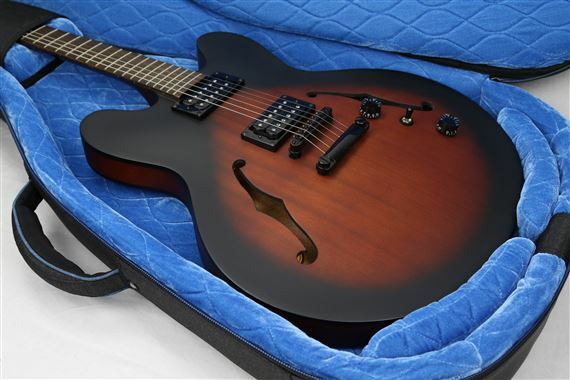 When Reunion Blues launched the RB Continental back in 2008 (literally, from the top of a three story building) they had no idea that they would be the vanguard of a new era in protective cases that would transform the expectations of professional and hobbyist musicians all over the world. With the RB Continental Voyager series, Reunion Blues is excited to up the ante once again. 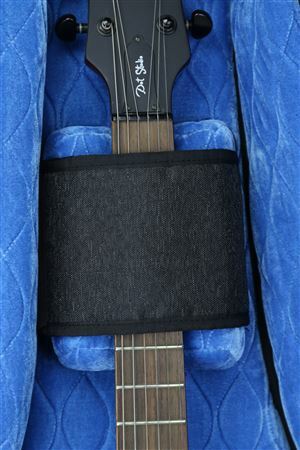 Reunion Blues has refined and revised their shock absorbing and impact-resistant Flexoskeleton with an efficient internal structure that maintains a high standard of protection while reducing weight and bulk dramatically. Reunion Blues has further articulated their Quadraweave exterior with a modern Black Heather texture that wears well and looks great. 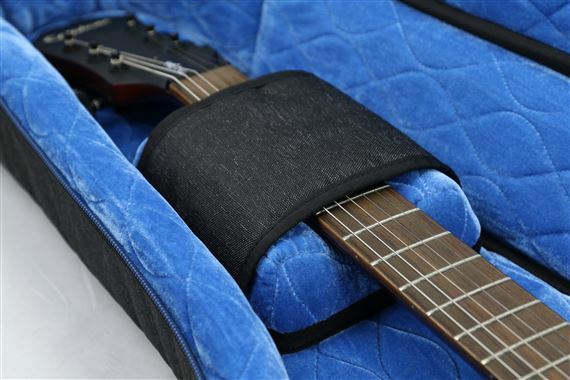 Reunion Blues has also re-designed the interior bracing system with an adjustable neck block and the addition of user-configurable protector pads at the endpin. All of the great ergonomic features of the original RB Continental are evident and even improved in the new Voyager series. Our Zero G handle still feels as weightless as ever, but Reunion Blues has added an edge seam to improve longevity and durability. Reunion Blues adjustable, hideaway backpack is even more comfortable than ever.